The 21st Century brings a new set of water resource challenges. Water shortage and use conflict have become more commonplace in many areas of the United States – even in normal water years – for irrigation of crops, for growing cities and communities, for energy production, and for the environment and species protected under the law. Much has changed since the last overall assessment of water resources for the Nation was published by the Water Resources Council in 1978. It is time for a comprehensive examination of water availability in the United States using what we have learned during the past thirty years and with up-to-date capabilities. In response to a request from Congress, the USGS released a report in 2002 entitled, Concepts for National Assessment of Water Availability and Use, Circular 1223. The circular outlines a broad framework by which a national assessment could take place and advocates using 21 Water Resources Regions for the study units. In 2005, USGS embarked on a pilot study of water availability in the Great Lakes Basin. The pilot focuses on understanding the dynamics of the water resources in the basin in terms of the flows and yields of both ground and surface water and demonstrates the importance of water-use data to quantifying water availability. In 2007, the US Geological Survey released its ten year science strategy in the form of Facing Tomorrow's Challenges -- U.S. Geological Survey Science in the Decade 2007-2017 Circular 1309. One of the seven major strategic directions identified in the Circular is “A Water Census if the United States: Quantifying, Forecasting, and Securing Freshwater for America’s Future. These are the initial steps to implementing a National Water Census and producing a water availability and use assessment for America. Bring existing plans and legislative mandates together in one strategy. Integrate existing science efforts across the USGS and the Department of the Interior to bring more resources to bear on water availability questions. Will this water be present to meet both existing and future needs? The National Water Quality Assessment Program to demonstrate the linkages between water quality and quantity and the degree of water quality impairment that limits water availability. 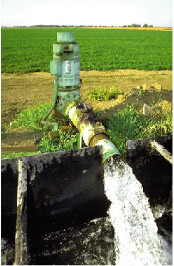 Regional Groundwater Availability Studies to provide critical information that include; recharge, yields, changes in storage, trends in groundwater indices, and groundwater-surface water interactions. The National Water Use Information Program to assess water withdrawals across the country. The National Cooperative Geologic Mapping Program for information on the geohydrologic framework of aquifer systems. and a series of studies focused on selected watersheds where there is significant competition over water resources. Here, the USGS and stakeholders will work collaboratively to comprehensively assess the technical aspects of water availability. "The USGS should focus on the scientific integration of water use, water flow, and water quality in order to expand knowledge and generate policy-relevant information about human impacts on both water and ecological resources." from: Estimating water use in the United States: A New Paradigm for the National Water-Use Information Program. "The United States has a strong need for an ongoing census of water that describes the status of our Nation's water resource at any point in time and identifies trends over time." from: A Strategy for Federal Science and Technology to Support Water Availability and Quality in the United States.